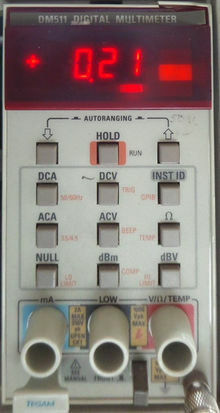 The Tektronix DM511 is a 4½-digit autoranging digital multimeter plug-in for the TM500 system. Temperature measurements are possible with a P6602 probe. It is essentially a DM5110 less the GPIB interface.